Given that virtual reality is being applied to just about every aspect of society, it stands to reason that it’s starting to be put to work in business environments as well. That’s not to say it’s transformative technology just yet; in the grand scheme of things, virtual reality is still very much in its modern infancy, and we are only just glimpsing its potential. That said, that potential includes some fairly exciting changes for businesses, both internally and as they present themselves to the world. To begin with, virtual reality has the clear ability to revolutionize training within businesses. This is a topic that’s come up here before, and in fact an older post examined reasons some training programs fail to meet desired outcomes. This can be because participants don’t enjoy training or don’t understand material, or that they may not see how it applies to their specific tasks, or desired changes in performance. Problems like these can be very difficult to change on a company-wide level with traditional training methods. It would require new teaching techniques, potentially new people doing the training, and all in all a great deal of brainpower and effort. With virtual reality however, training programs can be designed, analyzed, and tweaked with relative ease. Furthermore, a virtual reality program can offer a far more authentic, immersive experience for a trainee, ultimately resulting in something more closely resembling on-the-job action. Secondly, virtual reality has potential to completely change store experiences and even office visits for businesses interested in these kinds of benefits. To get the idea you need only look at some of the industries virtual reality is already transforming. In travel, for instance, it has changed the browsing process from one of sifting through images and reading content to one in which people will soon be taking virtual tours of destinations abroad on a regular basis. Another example is the digital casino business. Here, adapted slot reels and video versions of popular games had already made games more interactive, but they’re now being enjoyed in a more immersive, virtual reality form, rather than simply viewed on a screen where they’re like any other game. Now apply this same change – a step up in tech, and a step forward in immersion – to a store or office visit. 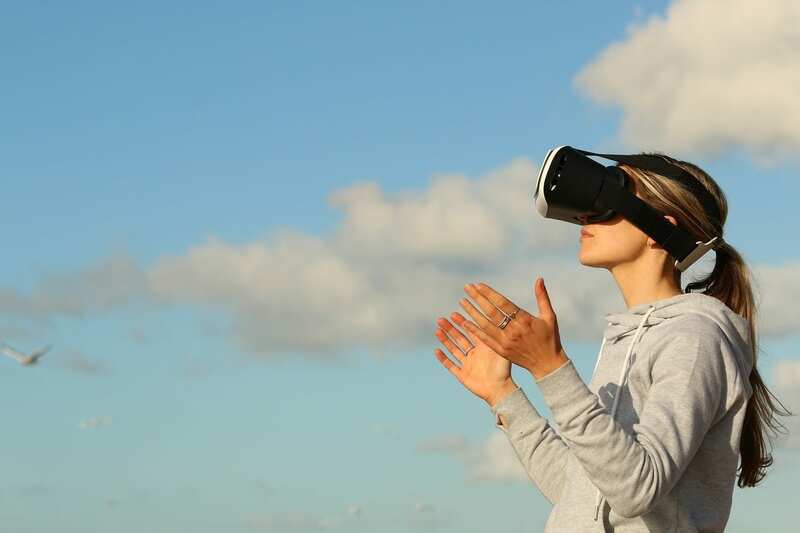 Instead of sitting in a waiting room for a meeting, a potential client could wear a VR headset to see an interactive ad of what your company can do for them; in place of store browsing or online shopping, a customer can visualize him or herself using a product. Lastly, the same benefit just described – that of enhancing a store or office introductory experience via simple virtual reality programs – can also be delivered to people at home who wish to interact with your business, or even to people in other businesses looking to collaborate. Barely more than a year ago it was written that we weren’t able to shop in VR yet despite widespread expectations of this sort of service, but already we’re getting closer. Numerous retail stores are offering virtual reality sampling experiences people can use at home, with one-tap shopping quite clearly just around the corner. This will naturally work differently for different businesses, but suffice it to say the ability for potential clients, customers, and partners to get a sample experience that feels real, all from their own homes or offices, can greatly improve a company’s outreach capability.